Pint-sized and Simple: July 2017 Ipsy Glam Bag Review - It's Gudetama! July 2017 Ipsy Glam Bag Review - It's Gudetama! 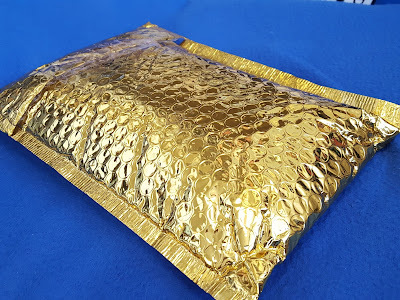 You know it's going to be a fun month of Ipsy when the bubble mailer is so stuffed that there's packing tape holding it closed. In fact the bagspill photo above is even missing one of the items because I didn't notice it all scrunched up on the bottom of the mailer until later. 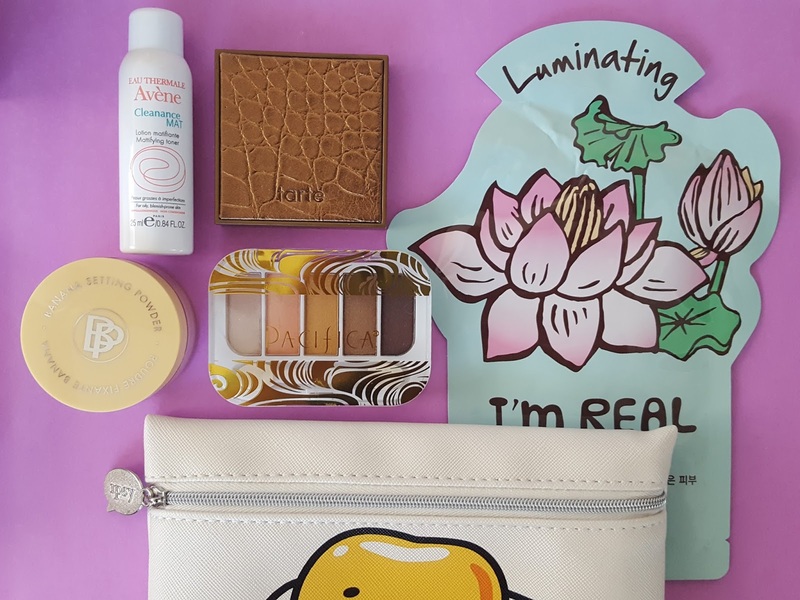 I'm sooo happy that Ipsy finally decided to team up with Sanrio. 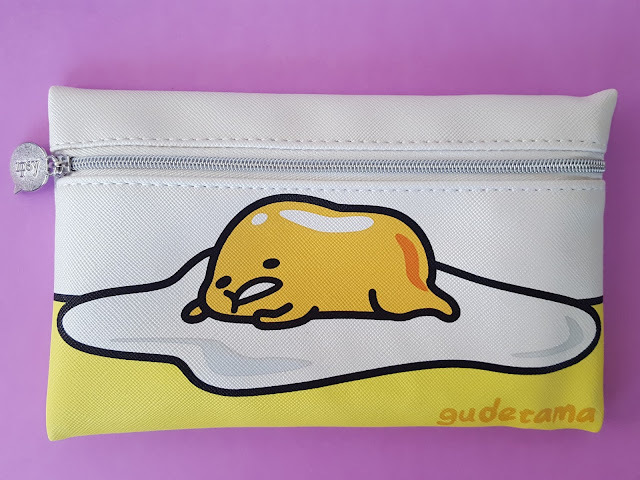 I'm even happier that they're featuring everyone's favorite lazy egg, Gudetama. Sanrio is one of those brands that you never grow out of because we all love cute stuff regardless of age, yes? And if anyone can make something cute, Sanrio can. I mean they somehow pulled off making a sunny side up egg look so adorable! 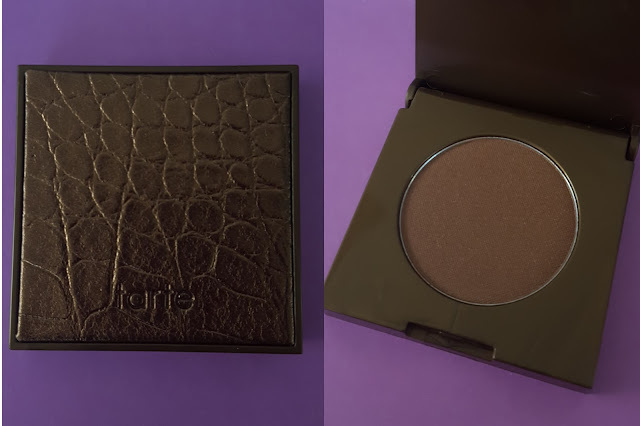 Tarte Amazonian Clay Waterproof Bronzer in Park Ave Princess (0.11oz, $10) - I get that it's summer and the season's all about achieving that sunkissed glow, but right now I have bronzer coming out of my ears. However, I don't think I own one with shimmer. It's on the subtle side so you can go light or build up to an intense glow depending on the occasion. Bella Pierre Cosmetics Banana Setting Powder - My first thought was "Omg, a powder made out of bananas?! Noms!" and then I realized how silly that sounds. 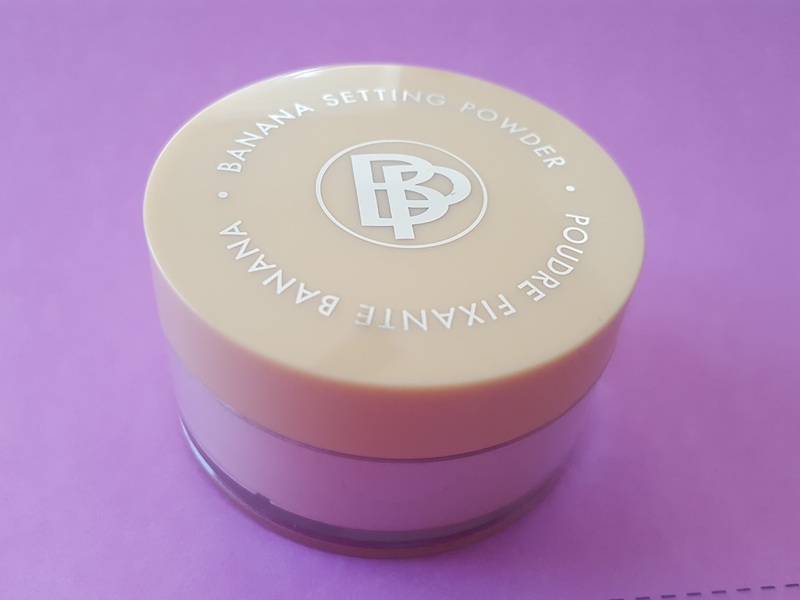 No bananas here; the powder gets its name from its yellow tone, though I think it looks more peach to me. Either way, peach and yellow colors target purple shadows like those undereye circles you get when your dog keeps shoving you off the bed all night and you don't get a single wink of sleep. -_- You can use this as a powder concealer or even as an eyeshadow base. Pacifica Island Life Eyeshadow Palette - Ipsy first introduced me to this brand and it's grown to become one of my favorites. Their formulas are so creamy and subtle yet buildable and is exactly what I look for in an eyeshadow. 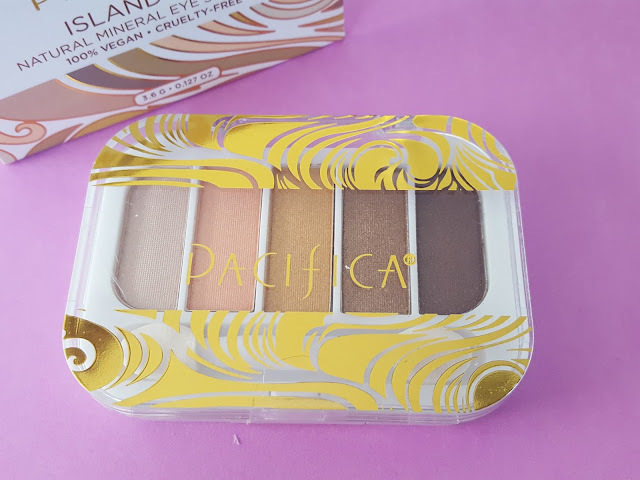 And bonus: this palette is an Ipsy exclusive! 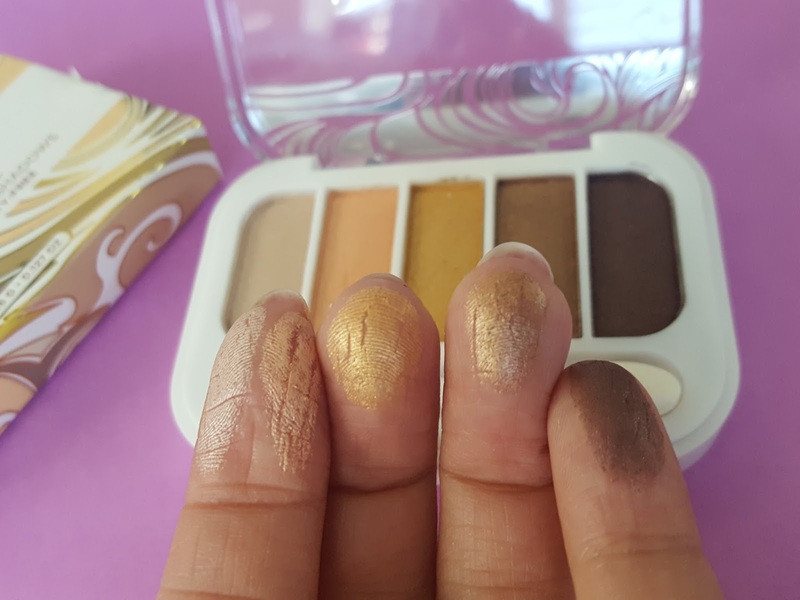 Swatches of the Pacifica Island Life palette (L-R: skinny dip, coral sand, golden, treasure, sandalwood). Tonymoly I'm Real Lotus Sheet Mask and Green Tea Sheet Mask - One of these masks was smooshed waay down on the bottom of the bubble mailer and went unnoticed until I was just about to throw it away. *whew* good thing I did one last check. :) I love Tonymoly's cutesy product packaging and am pretty sure I act like a total kid in a candy store when I visit the Tonymoly shop in town. 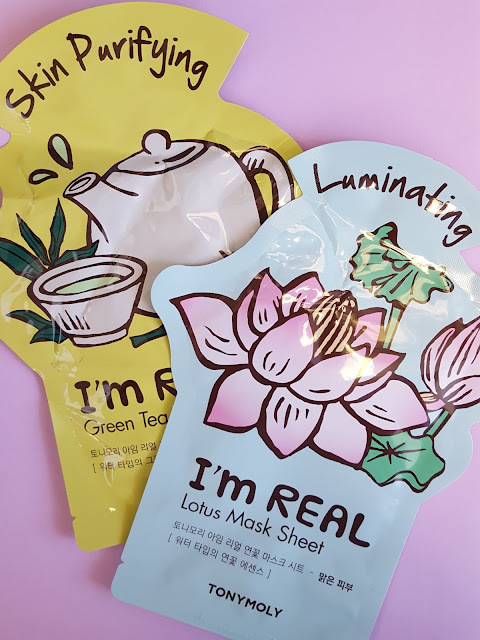 These sheet masks come from the I'm Real mask collection featuring all kinds of ingredients: avocado (nutrition), broccoli (vitality), lemon (brightening), tomato (radiance), and way more. The lotus variety pictured above illuminates and the green tea mask purifies skin. 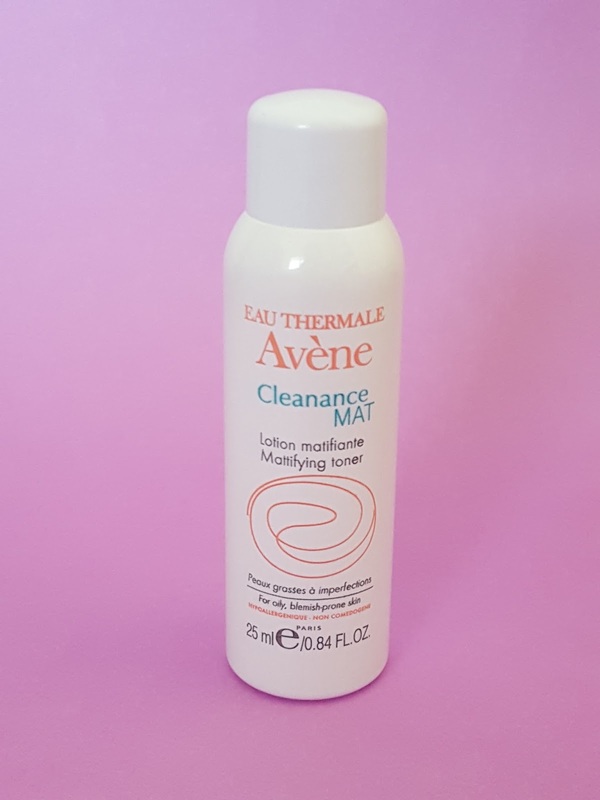 Eau Thermale Avene Cleanance MAT Mattifying Toner - Yay, a toner made for oily skin! These last few months have been especially horrible to my already-oily skin and on any given day my face looks like an 8th grader just hitting puberty. This toner contains monolaurin to fight off oil-producing microbes and mattify your complexion (i.e. 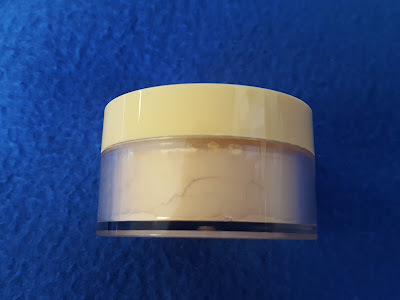 zaps the shine) so it's a good one to use before applying makeup. Heads up, though, it also has alcohol in it so make sure you use a moisturizer afterwards to prevent over-drying and subsequent amped-up oil production. Also included was a mini mag announcing Ipsy's brand new Ipsy Cash program in which you earn cash back for buying your favorite cosmetics through the Ipsy website. You can opt to receive your "free" money in the form of a check or a Paypal deposit. Verdict: Is it odd that my favorite thing in here is the makeup bag? I mean it was actually a pretty good haul this month, but I just really like Gudetama. It's not even going to be used to hold makeup; I just found a whole bunch of gel pens in my old desk drawer at my parents' house so those are going straight in the Ipsy bag. Coming in a close second is the eye shadow palette. I don't even know why I keep collecting them. I have so many even though I hardly wear makeup, but they're so pretty! And then there's the toner. I'm so ready to get rid of greasy-face Sheri. I'm also kind of interested in the Ipsy Cash program. I took a quick glance at what's available and there's a lot of stuff to choose from. The deals are pretty good, too - you get 20% cash back on most brands but it goes as high as 30%. 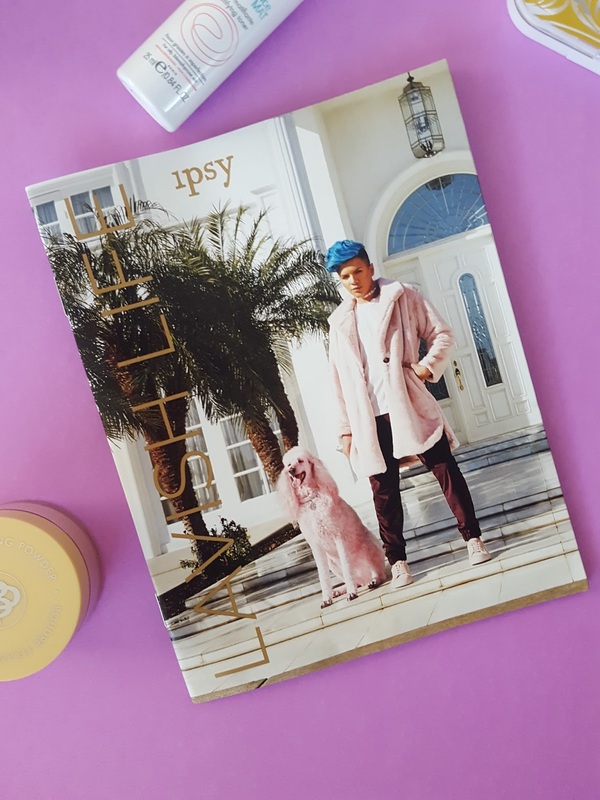 Sign up here to get started with Ipsy for just $10 per month. You'll get five items inside a fun makeup bag along with access to tons of online coupons for more goodies from the month's featured brands right from your account. And don't forget access to Ipsy Cash as well!